Egypt’s main opposition bloc on Sunday alleged widespread fraud and called for mass protests after preliminary results showed supporters of a controversial draft constitution winning a solid majority in the first round of balloting. The call had the potential to throw Egypt back into disarray after several days of relative calm that included orderly voting by some eight million citizens on Saturday. 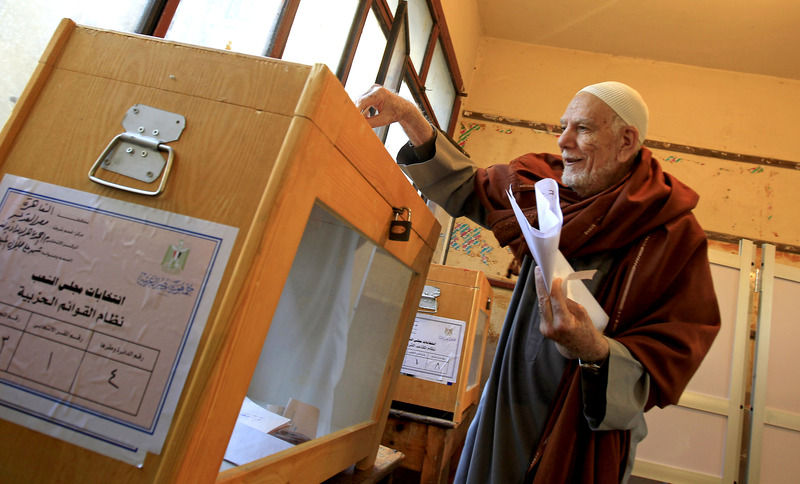 Preliminary tallies by the Muslim Brotherhood and state media showed that 57 percent of voters backed the constitution, with a second round of voting still to come. Many of those who voted for the charter said they were doing so to restore stability after nearly two years of tumult for the country that began with a successful push to oust former president Hosni Mubarak. Rather than boycott the referendum, opposition leaders tell supporters to cast ballots against the draft charter. President Morsi expands military’s role in advance of Saturday’s controversial charter vote. Modified version to omit most controversial element, but president stays firm on Dec. 15 referendum. Decision made after Islamist supporters of President Mohamed Morsi swarmed the court. The group, a loose coalition of liberals, leftists and Christians that has emerged to challenge the ruling Islamists, called on Egyptians to protest on Tuesday “in order to defend their free will and to prevent any rigging of their decisions.”The opposition’s reaction to its apparent defeat seemed to end any hopes that the referendum might bring calm to Egypt after weeks of clashes over both the substance of the new constitution and the hurried way it was put before voters. The unofficial results of the first round reflected a narrower-than-expected victory for the charter, which was strongly backed by President Mohamed Morsi and his allies in the Muslim Brotherhood. Wider margins are forecast this coming Saturday during the second and final round of balloting, when voting shifts to smaller cities and more rural areas where Islamists have a clear edge. “The Egyptian people have expressed their free will,” the Brotherhood’s political arm said in a statement. The group’s early vote tallies have proved accurate in past elections. 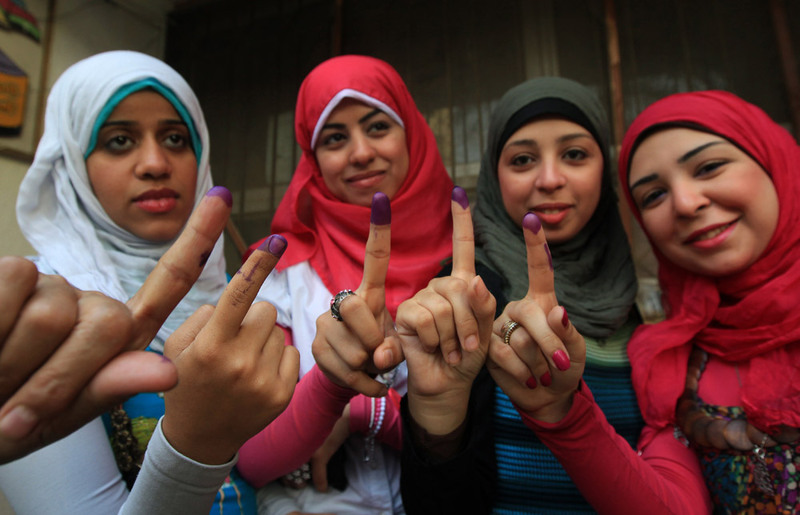 But opposition leaders quickly disputed the unofficial results, claiming that the referendum had actually been voted down by wide margins in the major cities of Cairo and Alexandria. Rights groups, meanwhile, said that the voting was inadequately monitored, and that some people had been prevented from casting their ballots. They called for a rerun of the referendum. With Morsi staking his young government on the new charter, that was considered highly unlikely. In the weeks before the referendum, Morsi gave himself extraordinary powers as he maneuvered to bring the constitution to a vote. Resulting street clashes left at least 10 people dead and hundreds injured. While much of Egypt was calm on Saturday during the vote, the unrest resumed overnight Saturday, with the liberal Wafd party claiming that its offices had been attacked by a group of hardline Islamists known as Salafists. Seven people were killed and hundreds wounded last week in clashes between the Islamist Muslim Brotherhood and their critics besieging Mohamed Mursi’s graffiti-daubed presidential palace. Both sides plan mass rallies on Tuesday. Mursi, bruised by calls for his downfall, has rescinded a Nov. 22 decree giving him wide powers but is going ahead with a referendum on Saturday on a constitution seen by his supporters as a triumph for democracy and by many liberals as a betrayal. A decree issued by Mursi late on Sunday gives the armed forces the power to arrest civilians and refer them to prosecutors until the announcement of the results of the referendum, which the protesters want cancelled. Despite its limited nature, the edict will revive memories of Hosni Mubarak’s emergency law, also introduced as a temporary expedient, under which military or state security courts tried thousands of political dissidents and Islamist militants. But a military source stressed that the measure introduced by a civilian government would have a short shelf-life. “The latest law giving the armed forces the right to arrest anyone involved in illegal actions such as burning buildings or damaging public sites is to ensure security during the referendum only,” the military source said. Presidential spokesman Yasser Ali said the committee overseeing the vote had requested the army’s assistance. “The armed forces will work within a legal framework to secure the referendum and will return (to barracks) as soon as the referendum is over,” Ali said. Protests and violence have racked Egypt since Mursi decreed himself extraordinary powers he said were needed to speed up a troubled transition since Mubarak’s fall 22 months ago. The Muslim Brotherhood has voiced anger at the Interior Ministry’s failure to prevent protesters setting fire to its headquarters in Cairo and 28 of its offices elsewhere. Critics say the draft law puts Egypt in a religious straitjacket. Whatever the outcome of the referendum, the crisis has polarised the country and presages more instability at a time when Mursi is trying to steady a fragile economy. On Monday, he suspended planned tax increases only hours after the measures had been formally decreed, casting doubts on the government’s ability to push through tough economic reforms that form part of a proposed $4.8 billion IMF loan agreement. Rejecting the referendum plan, opposition groups have called for mass protests on Tuesday, saying Mursi’s eagerness to push the constitution through could lead to “violent confrontation”. The opposition National Salvation Front, led by liberals such as Mohamed ElBaradei and Amr Moussa, as well as leftist firebrand Hamdeen Sabahy, has yet to call directly for a boycott of the referendum or to urge their supporters to vote “no”. The opposition says the document fails to embrace the diversity of 83 million Egyptians, a tenth of whom are Christians, and invites Muslim clerics to influence lawmaking. But debate over the details has largely given way to noisy street protests and megaphone politics, keeping Egypt off balance and ill-equipped to deal with a looming economic crisis. Mursi issued another decree on Saturday to supersede his Nov. 22 measure putting his own decisions beyond legal challenge until a new constitution and parliament are in place. While he gave up extra powers as a sop to his opponents, the decisions already taken under them, such as the dismissal of a prosecutor-general appointed by Mubarak, remain intact. Lamia Kamel, a spokeswoman for former Arab League chief Moussa, said the opposition factions were still discussing whether to boycott the referendum or call for a “no” vote. “Both paths are unwelcome because they really don’t want the referendum at all,” she said, but predicted a clearer opposition line if the plebiscite went ahead as planned. Mahmoud Ghozlan, the Muslim Brotherhood’s spokesman, said the opposition could stage protests, but should keep the peace. The army stepped into the conflict on Saturday, telling all sides to resolve their disputes via dialogue and warning that it would not allow Egypt to enter a “dark tunnel”. A military source said the declaration read on state media did not herald a move by the army to retake control of Egypt, which it relinquished in June after managing the transition from Mubarak’s 30 years of military-backed one-man rule. The draft constitution sets up a national defence council, in which generals will form a majority, and gives civilians some scrutiny over the army – although not enough for critics. In August Mursi stripped the generals of sweeping powers they had grabbed when he was elected two months earlier, but has since repeatedly paid tribute to the military in public. So far the army and police have taken a relatively passive role in the protests roiling the most populous Arab nation.